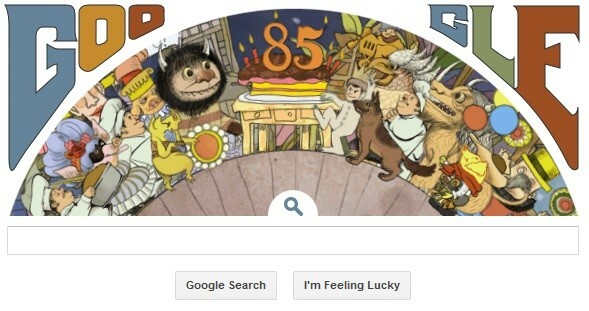 June 10th is the birthday of Maurice Sendak — and to celebrate it, Google created an amazing “Doodle” on their home page. 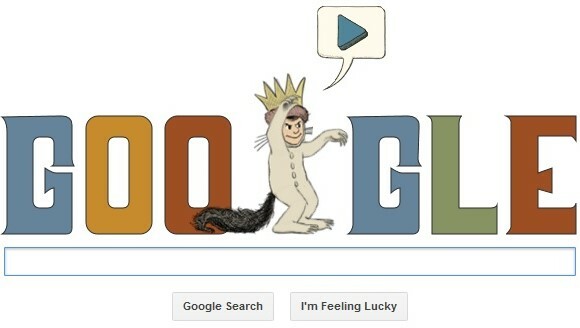 Just go to Google.com today, and you’ll see an animated version of one of Sendak’s most famous characters. It’s Max, the little boy from “Where the Wild Things” are — dressed in his wolf suit, and doing a wild dance. There’s a “dialogue balloon” over his head, though it only contains a flashing blue arrow. But if you click it, Google delivers a gorgeous animation. It shows the boy magically walking over the top of a rotating circle. As it turns, the scene changes from his room to the jungle Where the Wild Things Are — and he’s followed by all the friendly monsters from Sendak’s most famous book! But as the circle continues to turn, the boy travels on into scenes from other Sendak books. Next are scenes and characters from In the Night Kitchen, followed by characters and scenes from his final book, Bumble-Ardy. Maurice Sendak died last year just a few days before his 84th birthday — but it’s nice to see that there’s still fond memories about his children’s picture books, and they’ve found their way into the next century. 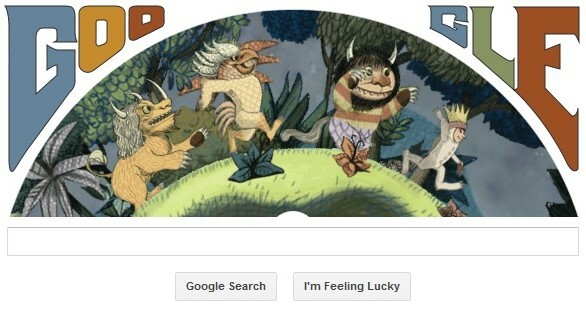 And I’m glad Google decided not to let today go by without wishing a happy birthday to Maurice Sendak!